We celebrated Dan's birthday this week. Yay, festivities! Lately, partly due to all the furniture shopping and whatnot, we've been doing more experiential gifts. Just spending time together. That's the best way to celebrate, isn't it? So for Dan's day, we started the morning together with Vietnamese coffees before he headed off to work. 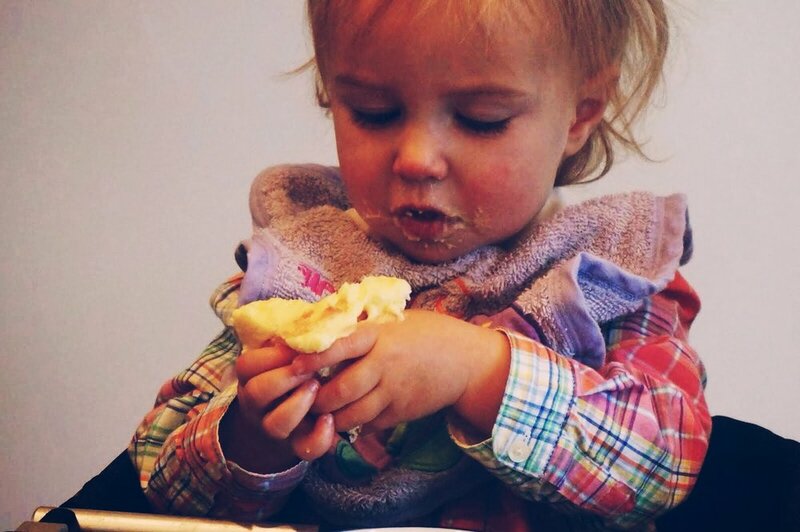 When he got home, we shared a cupcake for family snack (Willa signed "more" about 16 times after she finished her portion!). Thoughtful cards and gifts from family were opened. Craft beers drunk. A mini-dance party happened. Then we headed out just the two of us. Final destination: the Avalanche game. Our plan was to grab dinner at Euclid Hall before the game, but apparently that was everyone else's plan too, so we ended up at Illegal Pete's for some casual yet always delicious fare. I tried The Big Fish in a bowl: fried fish with cabbage slaw and spicy mayo. Good stuff. The game was great. They won! 5-1. They played the Blackhawks and there were tons of Chicago fans in the crowd. Made for a fun atmosphere, but it's always the most fun to be a fan of the home team. Much time was spent at the game searching for a decent beer. 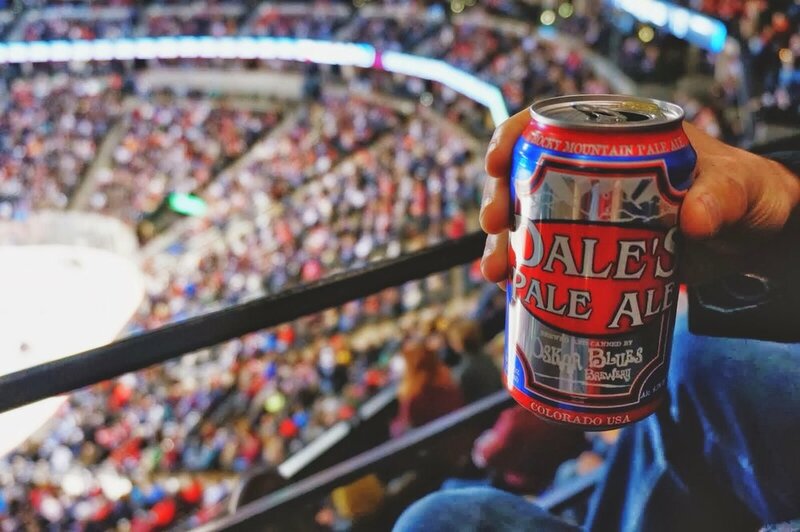 Dale's Pale Ale in a can was the best we could do. Quite good, but why is beer at sports venues always so terrible? Seriously, Colorado Native is the "premium draft" you're offering? Seriously!? People, this is Colorado. Microbrew central. Although I will say that Pepsi Center is far superior to silly Coors Field which only serves, well, Coors. Ugh. Anyway.